Summer is filled with so many marvelous things. One of the best contributors is the locally fresh fruits and vegetables only found during the growing season. 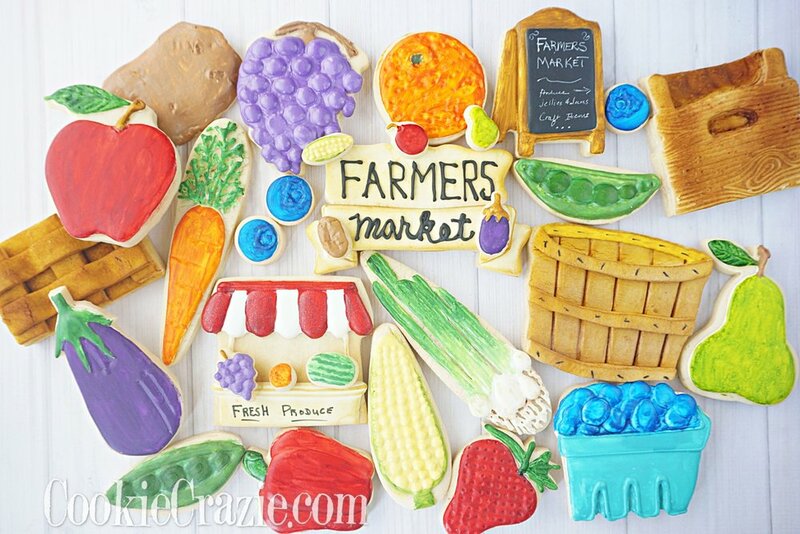 Enjoy the abundance of color and yumminess this summer! This year I started an office manager position at a wellness chiropractic center. a low-carb cookie that I could share with them and their patients. 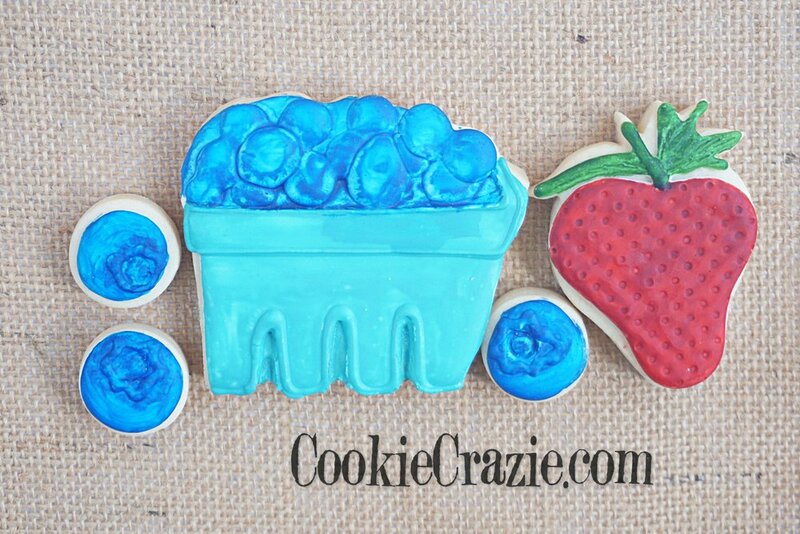 Here's the simple grain-free (and gluten-free) cut-out sugar cookie recipe. 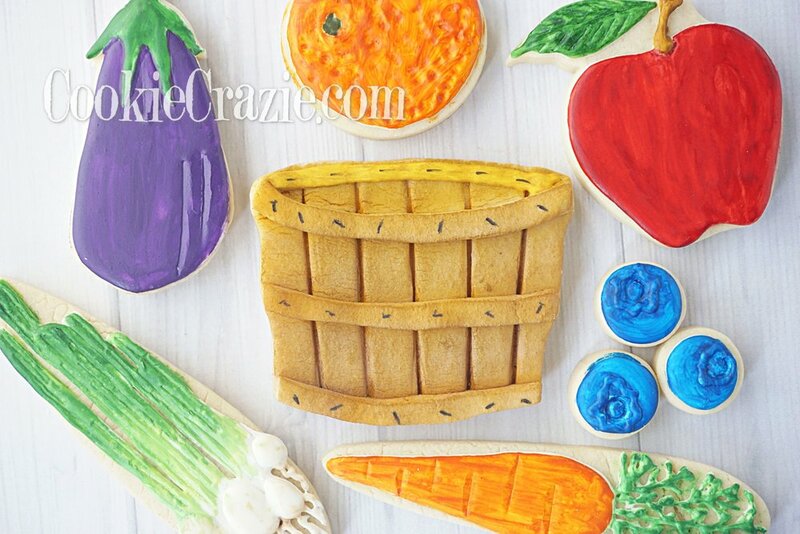 I used various circle cutters for most of the veggie cookies. over approximately 1/2" to create the long strips of pepper. The carrots were made with a long oval with the bottom chopped off and rounded out. And for the mushrooms I used a wider oval and cut the bottom sides to form stems. I've been wanting to do a cornucopia grouping for Thanksgiving for quite some time. I had a wonderful time designing all the different elements and then arranging them together for my 2011 Thanksgiving collection. Here's the grouping at the auction. Believe it or not.....I still have bunch of Thanksgiving cookies to share. I've been busy busy busy.